Sarah Jasmon has written a wonderfully atmospheric coming-of-age story set mostly in the 1980s. She has described perfectly the long hot summers that we all think we remember. In 2013, Helen sees a poster for an art exhibition by Victoria Dover which affects her profoundly. Her reaction makes it clear that something has happened with Victoria which has had an effect on her throughout her life. We are transported back to the long hot summer of where we start to learn just what that something is. Helen is a lonely teenager and I felt that Sarah Jasmon captured beautifully that desire to belong that teenagers feel. Helen’s mother has left home, her father spends most of his time drinking, smoking and ignoring her so I could empathise with her desire to make friends with the bohemian, chaotic Dover family who move into a nearby cottage for the summer. I could really sense her loneliness and her need for that intense kind of friendship that teenagers seem to experience. Victoria seems to reciprocate her friendship but there are times when Helen still feels like an outsider. This feeling leads to something happening which Helen has tried, relatively successfully, to forget most of her life. Although, as we come to realise, she was never actually told the full story of what really happened – perhaps she didn’t really want to know. With its beautiful cover and the haunting, evocative writing, this book is a very impressive debut. Sarah Jasmon is skilled at describing the oppressive heat and claustrophobia of that summer. She also brilliantly describes Helen’s intense teenage feelings and how her adult life has been effected by what happened that summer. I look forward to seeing what she writes next. 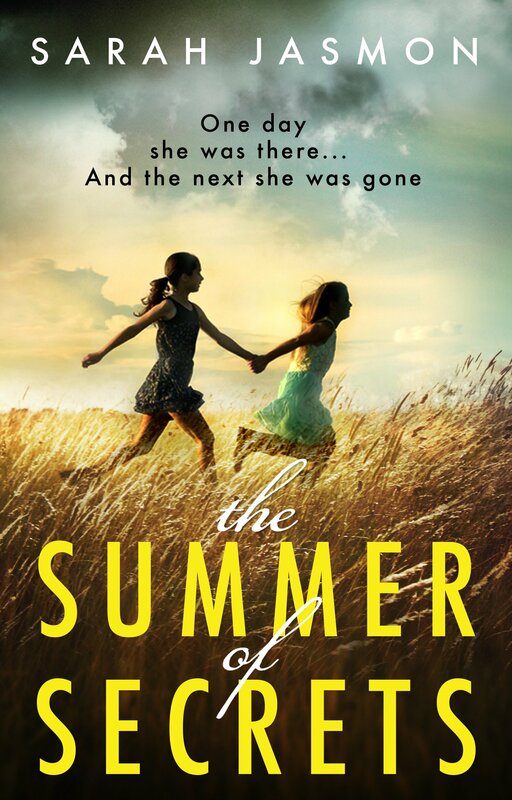 The summer the Dovers move in next door, sixteen-year-old Helen’s lonely world is at once a more thrilling place. She is infatuated with the bohemian family, especially the petulant and charming daughter Victoria. As the long, hot days stretch out in front of them, Helen and Victoria grow inseparable. But when a stranger appears, Helen begins to question whether the secretive Dover family are really what they seem. It’s the kind of summer when anything seems possible . . . .until something goes wrong. Gorgeous writing wasn’t it? Made me feel quite sad really. What a beautiful review – it has really made me want to read this book! It is a lovely book Alison, very well written. What a lovely review. I’ll definitely be buying this one. Thanks, hope you enjoy – it’s a great read.